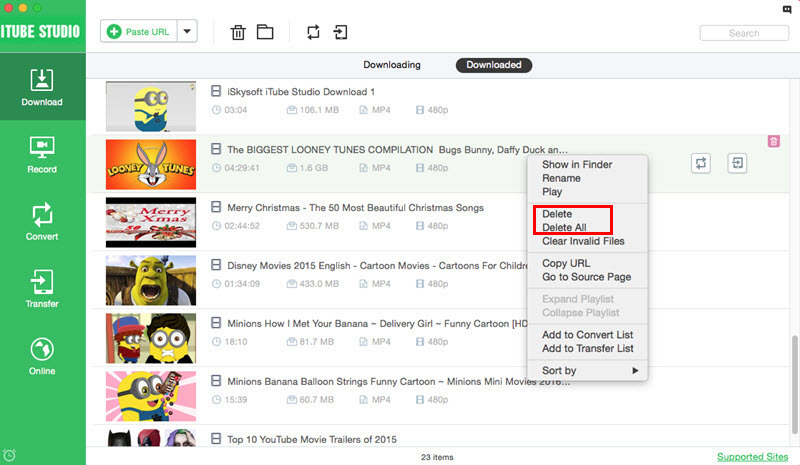 With this video downloader for Mac, you can manage your downloaded videos. And you can also import your desktop videos to the program for managing. You are free to build video library and delete unwanted videos. 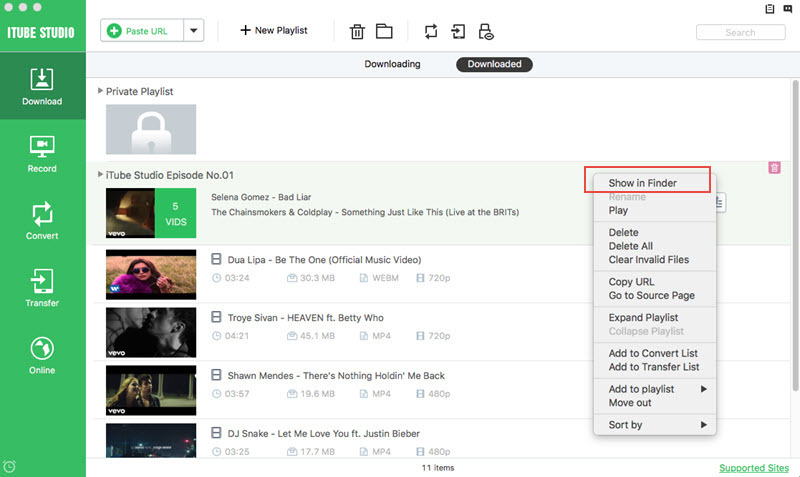 Open the "Download" tab to start manage your videos. You can select the target video from the “Downloaded” tab. And right click the video to find the option of “Rename”. And then type the new name for the video. To save your hard drive storage, you can right click on the video list in “Downloaded” tab and select “Delete” or “Delete All” button to remove the video. You can directly go to the source page for the video from the program. Go to the “Downloaded” tab and right click on the video to choose “Go to Source Page”. To find the downloaded video from your local folder, you can right click on the video and select the “Show in Finder”. And you will get a pop-up window with your local folder to show the video files. 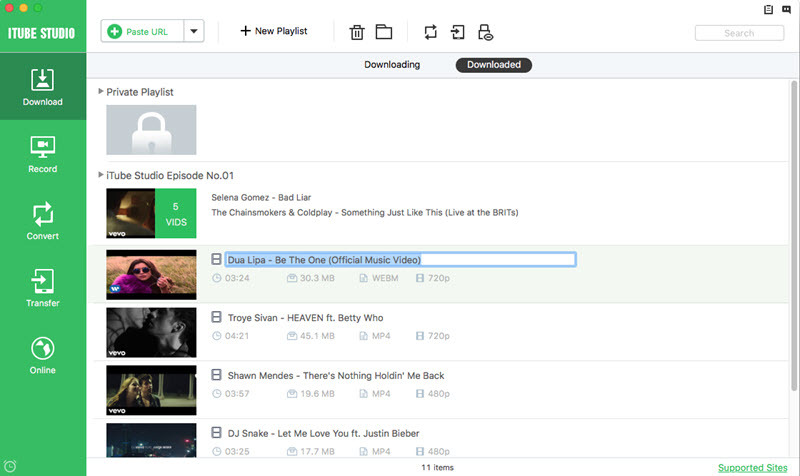 With the option of “Sort by”, you can organize your videos by name, data, size, site, and others.